Atlas Copco’s new light tower is equipped with 4 x 1000 W metal halide lamps, which can illuminate an area of up to 43,000 sq. ft. (3,995 sq m), with an average brightness of 20 lux. 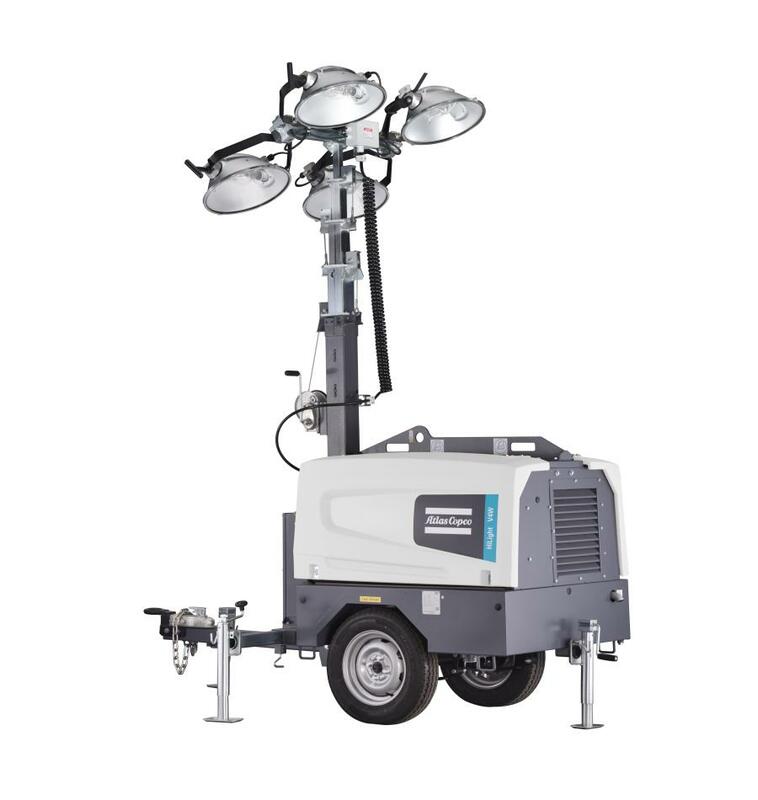 Atlas Copco has extended its light tower range with the launch of the HiLight V4W, a new model that has been designed to offer superior performance at high altitudes and in extreme weather conditions. The energy-efficient and durable light tower is robust enough to operate with minimum maintenance and provides a reliable light source that supports safe and productive working conditions in construction and mining environments around the world, according to the manufacturer. The HiLight V4W features an 8kW water-cooled engine with three cylinders. The adaptability of the unit is proven by its ability to perform at high temperatures, up to 122 F. The engine size and capacity was specifically chosen to enable the light tower to operate in hot, tough conditions. This enables it to cope with altitudes greater than 6,500 ft. (1,981 m). High-altitude power de-rating will not affect the performance of the V4W. The need for regular refueling is minimized due to the light tower's large fuel tank that can hold up to 42 gal., offering a run time of up to 90 hours and consuming only 0.45 gal. of fuel per hour. Atlas Copco's new light tower is equipped with 4 x 1000 W metal halide lamps, which can illuminate an area of up to 43,000 sq. ft. (3,995 sq m), with an average brightness of 20 lux. The HiLight V4W includes a manually operated vertical mast, which rotates 360 degrees and provides a maximum operating height of 25 ft. (7.6 m). To assist with the manual mast, Atlas Copco also provides an electric winch option. The mast can withstand wind speeds of up to 51 mph. The HiLight V4W is housed on a unibody trailer with a four-point levelling system and includes a heavy-duty base frame and stabilizers to ensure safety. It also integrates a number of important features, including a spillage free frame and a HardHat polyethylene canopy, which is extremely durable under harsh conditions and protects internal parts against corrosion. Additionally, users will benefit from improved and easier serviceability due to its scissors doors.